In recent years the advent of YouTube, Vimeo and similar free online video libraries, has been hugely beneficial for the sharing of fly tying tips and demonstrations. In the past people would travel miles to sit and learn from a master fly tier. These days there is no need – it is all out there in front of them on the internet. But for all these great video clips, there is still no substitute for a well produced, clear, step by step fly tying guide in book form that you can work to at your own speed. And there is still no real substitute to a comprehensive fly tying directory of patterns. 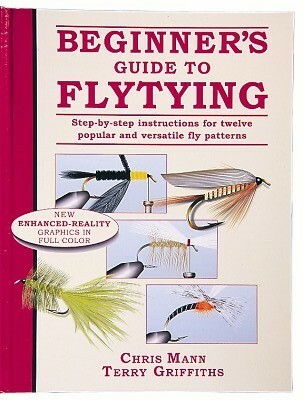 We are still selling as many fly tying books as ever, and the standard of these books has never been higher. So which ones are likely to be the most helpful. Below I have listed a few of the most popular for beginners which I personally rate highly for being the most useful. This is modestly described as an introduction to tools, materials and techniques with instructions for tying 50 fail safe flies, but the book is far more than this. It is a book which will be helpful to both novice and more experienced tiers alike. 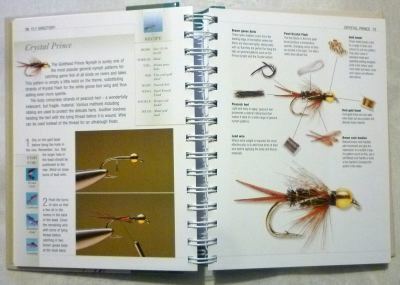 This is a hard back but the pages are bound by rings which enable the pages to be opened wide and flat so that the very clearly illustrated steps for tying each fly are easy to follow, and there is no problem keeping the book open. Print is reasonably large, well spaced and easy to read. The book opens with a short explanation of the layout of the book and general tools and materials, followed by illustrated demonstrations of core techniques. In my opinion, if you are only ever going to buy one book, this is definitely the book to choose. This is a large softback book with some good line drawing illustrations to compliment the colour photographs of the finished fly patterns. The selection of patterns includes many basic, standard wet flies, nymphs, dry flies, streamers and lures as well as a fairly big list of single salmon flies and a couple of shrimp doubles. The introductory Chapter on equipment, materials and basic techniques is far too basic, and although tools and vice are mentioned there is no instruction on how to use them (which is essential for a novice with no instructor). Skyhorse Publishing are bringing out a new edition in the near future in which there may well be some important updates and additions. This excellent book is written for the raw beginner to fly-tying and as such uses clear, straightforward instructions and coloured illustrations, making it easy to learn quickly how to tie effective flies. Some of the finer points of fly-tying wizardry are unveiled and will be of interest to the beginner and the more experienced alike. Venaird have also produced a separate Fly Tying Materials Kit with the materials selected and sourced to compliment the book. They include enough of everything, including hooks, to tie any of the patterns provided, without having to buy any other materials. 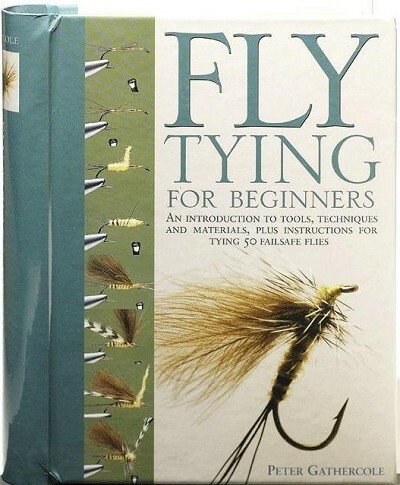 This entry was posted in Books & DVDs, Reviews and tagged beginners, fly dressing, fly fishing, fly patterns, fly tying book, flytying, flytying instruction, starter guide by fftcouk. Bookmark the permalink.